Opting for an on-premise PBX phone system, instead of a hosted solution in the cloud, can deliver clear advantages, but this does depend on the specific requirements of your business. It gives the highest levels of flexibility, with complete control over every aspect of the system. The latest systems also use both traditional and IP telephony technology, which means a range of advanced features are available as standard at no extra cost. nxcoms offers a range of on-premise PBX systems – from 25 to 1000 licensed users and 15 to 300 simultaneous calls. This makes our portfolio ideal for both small and enterprise office deployments, as well as contact centre operations, that are looking to seamlessly integrate IP phones and VoIP trunks, while improving employee collaboration and productivity utilising a large suite of advanced features. Using our unrivalled experience of planning, implementing and maintaining business phone systems, we work closely with our customers to understand their precise telephony needs. We are there for them every step of the way providing end-to-end support. Each user has their own login to allow easy control of their personal experience. They can view call history, view contacts, set presence and personalise phone soft-keys like call forwarding, follow me, call waiting and do not disturb. Benefit from a range of IP phones designed specifically for the PBX solutions, which auto-provision for simple deployment. 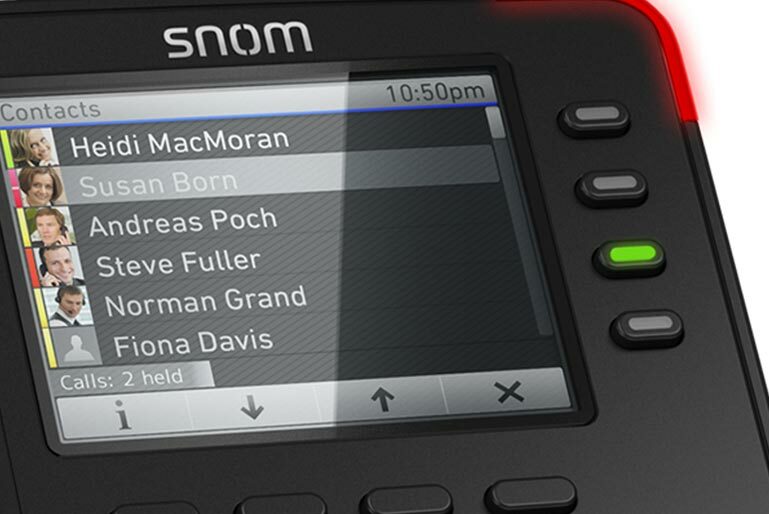 With a full suite of applications, control the functions and settings directly from the IP phone’s screen. Unified communication (UC) desktop Integration is included, providing users with a feature-rich softphone for true office mobility. This includes SMS and FAX capabilities, click-to-call from web browsers and screen pops for helpdesk integration. Quickly and easily add any type of phone, whether digital, analogue, IP, Cordless DECT, Wi-Fi and BYOD for complete flexibility and scalability. Every on-premise PBX telephone system offers the highest levels of resilience for total peace of mind and business continuity.